If you want to get results quickly, we offer a few secrets to sports sessions - you will not make any effort! Between weight loss and exercise there is a connection. In addition, exercise helps us maintain our health and lose weight without starving us. How many calories i burn if i run 1 hour ? 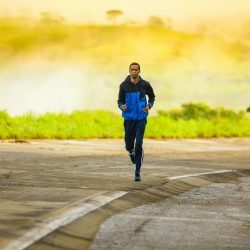 Running or also called jogging, which is a slight run is probably the most popular exercise that people do to maintain or lose weight. Probably you wondered many times how many calories you burn if you run 1 hour. People who already introduced running into their lifestyle are not disturbed anymore by this question. The amount of calories burned differ a lot depending on age, weight, methabolism, intensity. Some of those things are very hard if not impossible to measure.